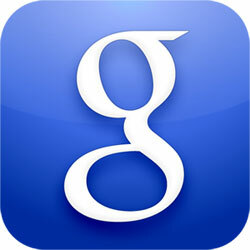 John Mueller, aka JohnMu, ran a Google Buzz Q&A on Friday on Mobile Websites & Google's crawling, indexing and ranking. He answered a bunch of questions on mobile SEO topics. We covered it extensively in the past with our Google on Mobile SEO and SEO & print URLs. John Mueller - @Paul If you have "smartphone" content (which we see as normal web-content, as it's generally a normal HTML page, just tweaked in layout for smaller displays) you can use the rel=canonical to point to your desktop version. This helps us to focus on the desktop version for web-search. When users visit that desktop version with a smartphone, you can redirect them to the mobile version. This works regardless of the URL structure, so you don't need to use subdomains / subdirectories for smartphone-mobile sites. Even better however is to use the same URLs and to show the appropriate version of the content without a redirect :). The last line is my favorite, where John said "Even better however is to use the same URLs and to show the appropriate version of the content without a redirect." I've been preaching this for a long time now and I am glad Google is also encouraging it now. Anyway, I recommend reading the whole Q&A over here and checking out my previous articles with more references named Google on Mobile SEO and SEO & print URLs.